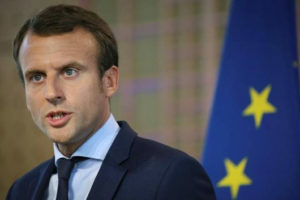 France likely would have followed the UK’s lead and voted to leave the European Union if a referendum were held, French President Emmanuel Macron said. Macron added that he would not want to place “a bet” on the outcome if France were to hold a referendum on leaving the EU. “You always take a risk when you ask in a referendum yes or no on a very complicated subject,” he said. Macron, who said he opposes an “in/out” choice, also admitted he is trying to capitalize on Brexit by luring businesses away from London and to Paris. “Sure we want to attract maximum activity, why? Because this decision has an impact for a lot of players,” Macron told the BBC. Macron told the BBC that the UK’s financial services sector will not be able to get full access to the single market without paying into the EU’s budget.